Marvel in the moment…. – Journey to my heart…. I have had some great conversations in the last few days that cause me to marvel in the moment…. 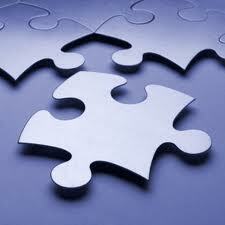 They are conversations when I see pieces of a puzzle come together. I wonder if you ever have that. Times when you realize something from before, maybe days, weeks, months or years, has greater meaning in a conversation that is unfolding before you. I had a conversation with a lady at the gym. She was new to the Kroc center and had a perplexed look on her face. I paused, smiled, said hello, and began a conversation. I learned she was new to the gym and did not know how to use the NuStep. Because of her weight, this was the only piece of equipment she could use. My mind flashed back to my amazing two weeks with O’Neal Hampton. 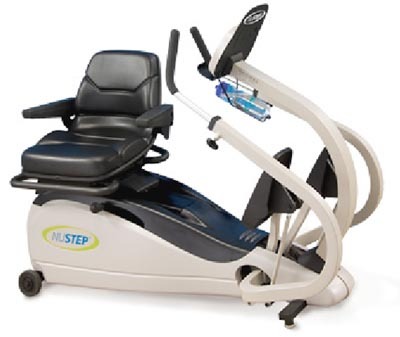 O’Neal shared often how the NuStep was the only piece of equipment he could use at first on Biggest Loser due to his weight and condition of his knees. I was able to share a bit of his story with her and she wept and said she felt hopeful after our conversation. I was able to show her how to use the NuStep. I went to the treadmill and she went to work on the NuStep. I marveled in the moment! As I become more aware of how to marvel, I find it isn’t always about an exchange with another. I have found that I can also marvel in a moment when i am alone. I enjoyed some hammock time today. As I laid there, listening to music, I marveled at the moment, remembering how difficult it used to be to allow myself to relax. I was very grateful. As I leave my inside doors open tonight to allow for good flow of cool air, I realize I no longer have to secure Dutch to my bedroom at night. As I think about why that is, I realize it is because I no longer have any food that Dutch can access since all of my dog appealing food has been removed from my diet. I am thankful for new habits that are about healthy eating and therefore can have my air circulation flowing more freely tonight. Crazy as it is, I marvel in this moment…. I wonder what kind of moments you might marvel in? I do believe that the moments when I marvel are moments that provoke a sense of gratitude in my heart for something in life. They aren’t always easy times, but they are times where meaning and value continue to become clearer all the time. I hope this is a week where you are able to marvel away! Previous Previous post: Life Lessons….